Wow . . . What a surprise Denise and I received this afternoon! 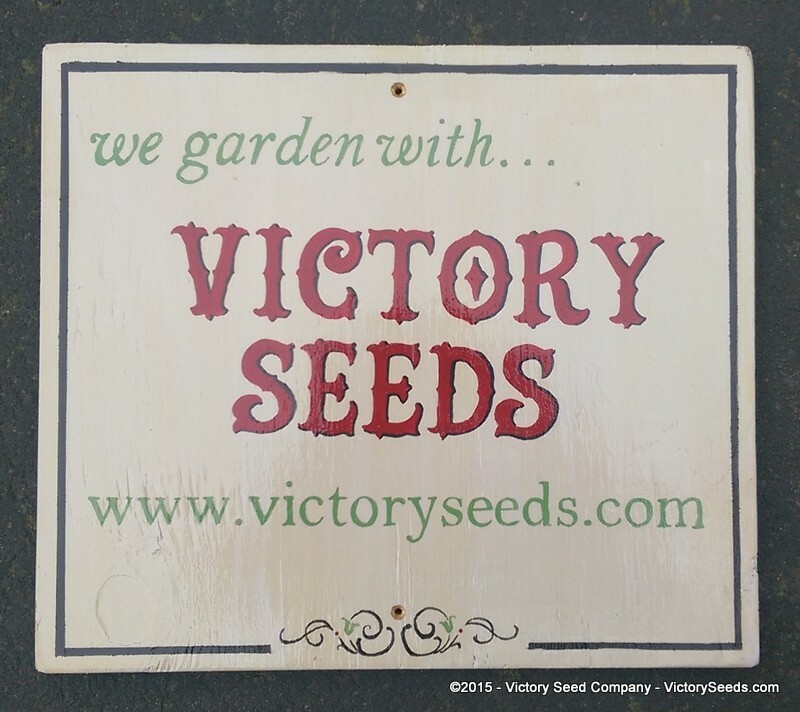 Although the primary mission of the Victory Seed Company is to preserve rare seed varieties and to keep them available to gardeners, we also believe that by sharing a portion of our time, talents and property, we are helping to make our world a better place. Charitable work is a primary part of our lives, both personally and as an organization. Your orders directly support this work. You can read more on this subject by clicking here. 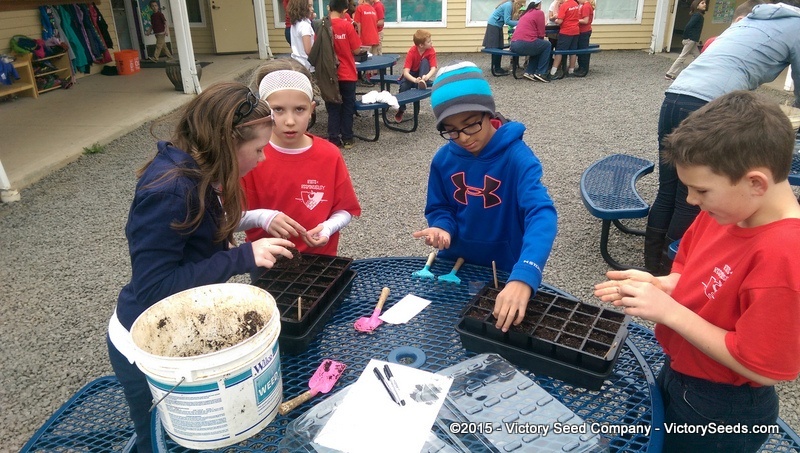 One of the projects that we help to support is the community garden at a local grade school. Normally, Denise takes care of getting seeds up to the school but this time we were asked to both come and at a specific time. We were expecting a small meet and greet. When we arrived, we were surprised to see that the whole school was waiting for us with a beautiful banner that was signed by all of the students thanking us. 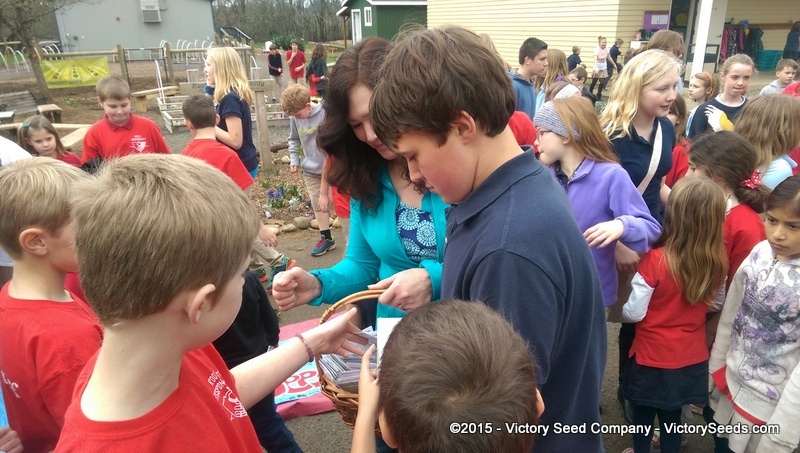 After a photo op, some of the kids rushed Denise requesting specific seed packets. They were on a mission and asked for broccoli, cabbage, lettuce, kale, basil, peas . . . all the things that they could get started now using their new seed starting equipment. Denise passing out seed packets. 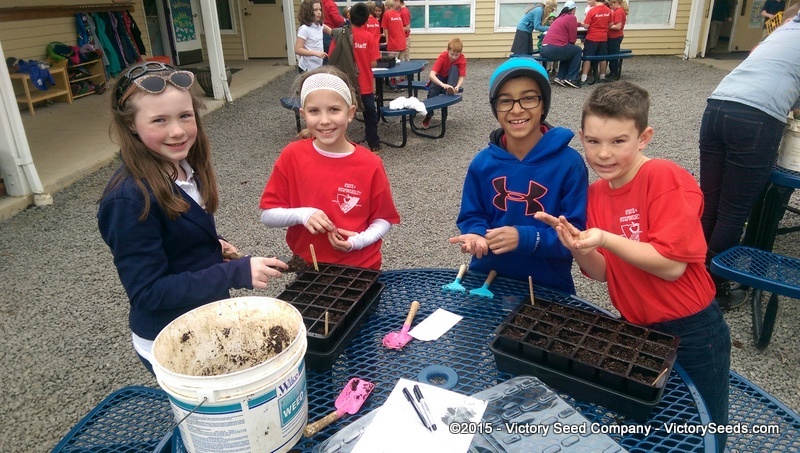 The students, packets in hand, ran off to tables that they had previously readied with the materials necessary to get their seeds sowed. Concentrating on the task at hand. Cell trays were filled with seed starting soil mix, seeds carefully sown and covered, and plant markers put in place. It won't be long until these gardens will be full of fresh veggies. What was really cool was that we got to keep the banners that the kids made and signed. It is now hanging up in our seedhouse. Some of the crew holding up the banner that the kids all signed. 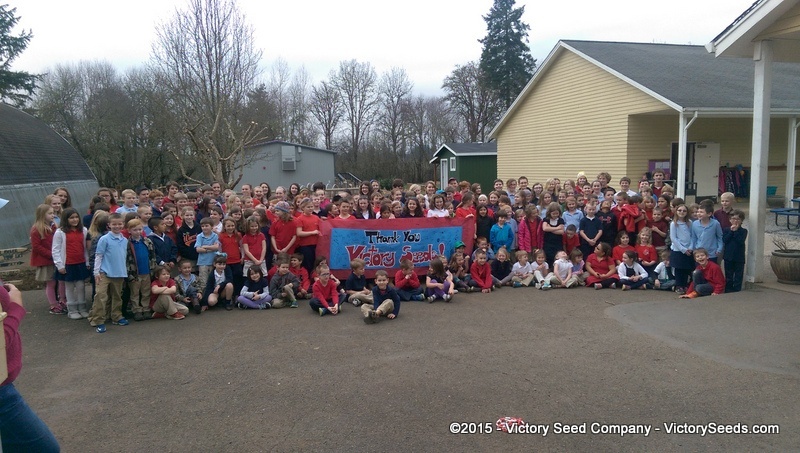 Under amazing leadership, Molalla River Academy’s “Roots of Responsibility” Garden program is thriving. Working in the garden with children is not only good exercise, it is a perfect setting for teaching. The students are learning about biology, nature, weather, food production, healthy choices, a sense of accomplishment, teamwork, responsibility . . . Basically important, core life skills. Garden-based learning is not only fun for kids, studies have shown that their hard work growing fruits and vegetables directly leads to an increased probability that they will actually eat them! And as every parent knows, getting children to try new things or to choose healthy snacks is difficult. We were so happy to see how excited all of the kids were and look forward to our next visit! 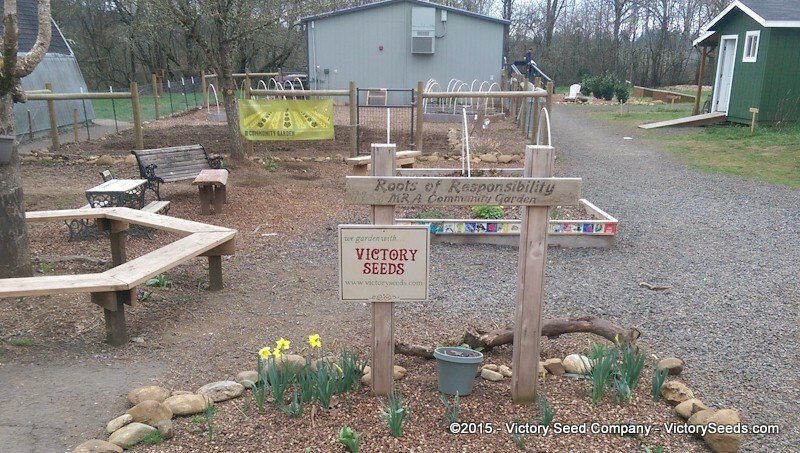 Victory Seed Company’s “Gardening with Kids” resource page. Farm Update – It has been a cold, wet, gray, miserable weather week. Yes it allowed me to get caught up on a lot of web and office work, but I had ground all tilled and ready to plant last Saturday. Then the floodgates opened. The tomato plants in the greenhouse are at the point they need to stretch their roots and get out into the garden. Looks like it will be one of those years we are planting in the mud. But I certainly am not in a position to complain. Yes, it is inconvenient. Yes, it could affect our harvests this fall. But our weather is noting in comparison to the tornado year that folks in other parts of the country. We see the devastation on the nightly news and it is just so hard to fathom. Our thoughts and prayers go out to you. Newsletters – If you have not already done so, be sure to sign up for our newsletter. You do not need to worry about getting your email box filled up. I am the only person here that does all the communications – tweets, blog, email, CRM, etc. – so I am lucky if I pull off one newsletter mailing per month. Anyway, sign up! If you are a reader of the blog or tweets, there will be a bit of information redundancy, but the newsletter remains the best place to hear about sales and discount offers. Just head to any page on the site and look for the Mailing List feature at the bottom of the left-hand column. There is a new one scheduled for 6/1. Seed Saving and Sharing – This topic may seem counter intuitive to you. That is, does it make sense for us to promote a practice that empowers people to raise heir own seeds? Yes and no. If we were motivated by financial gain (like big corporations) then it is absolutely self-defeating. However, seed variety preservation is a work of passion. It is what we feel is our mission. 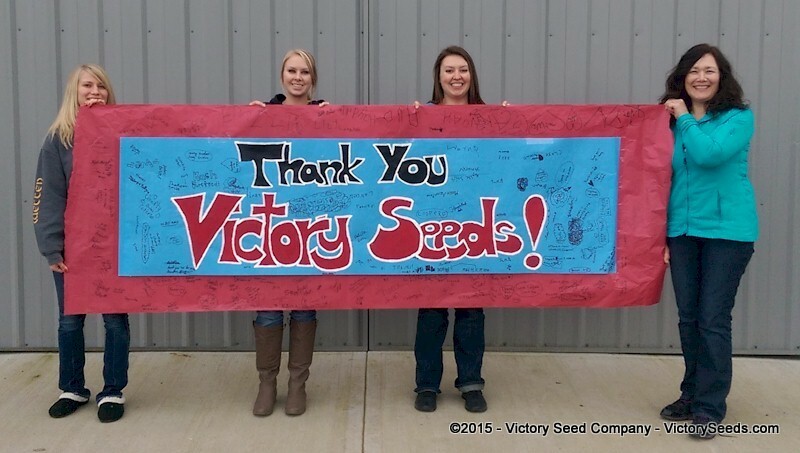 Yes, seed sales is how we pay the bills and keep the lights on. But more importantly, it is how we are able to continue to research and grow out rare, old varieties, get them into home gardener’s hands, and how we can work to help others do the same. Well, no rain is presently falling here on the farm so I am going to grab a bite to eat and head outside to see what I can accomplish.